A Continental Airlines economy cabin where the incident took place. The Saudi Arabian man had been arrested earlier this week after attempting to evade police during a chase, striking patrol cars and almost mowing down pedestrians. After refusing to stop using his electronic cigarette, Yazeed Mohammed Abunayyan begin swinging his fists at the flight attendant and passengers, and began screaming and singing Osama bin Laden’s name on board the Houston bound flight out of Portland PDX airport. Abunayyan also sang about his hatred of women before he and his travel companion were escorted off the plane after the pilot made the decision to turn around and head back to Portland. “Every guy who was in my area was ready to go. It was not even a thought. You could tell buckles were off. 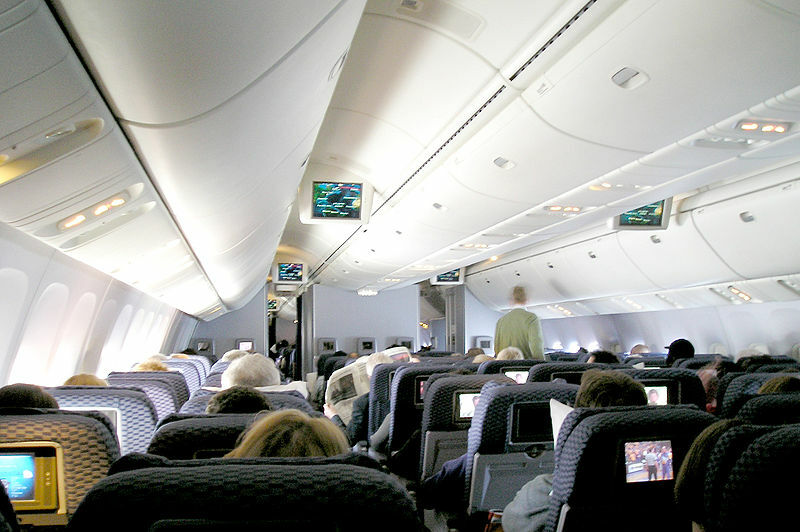 People were already leaning toward the aisles,” one passenger recalled. “It almost made me cry to see the way everybody responded. Because the gentlemen that could help got up and helped the stewardess. She was just a little bitty thing,” another passenger explained. E-cigarettes, which heat a liquid nicotine solution, are not specifically prohibited by the Transportation Safety Administration, like tobacco cigarettes, but they are banned by Continental Airlines.